The new policy will replace the industrial policy of 1991, which was prepared in the backdrop of balance of payment crisis. The proposed new industrial policy, to be released soon, would help link domestic industry with the global supply chain, Commerce and Industry Minister Suresh Prabhu Wednesday said. 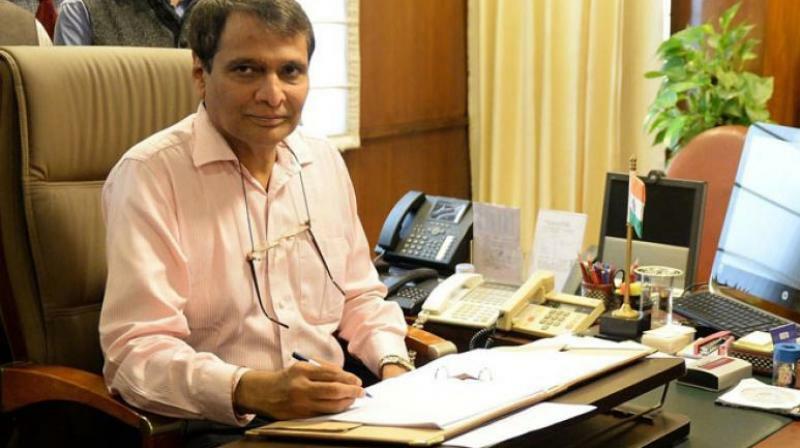 New Delhi: The proposed new industrial policy, to be released soon, would help link domestic industry with the global supply chain, Commerce and Industry Minister Suresh Prabhu Wednesday said. He said that the auto component industry has successfully used this linkage to promote the sector's growth. "We are coming out soon with the new industrial policy. We are giving final touches to it. It has many components. One key element is how do you link industry with global supply chains," he said here. The new policy will replace the industrial policy of 1991, which was prepared in the backdrop of balance of payment crisis. The proposed policy aims at promoting emerging sectors and modernising the existing industries. It will also look to reduce regulatory hurdles and encourage adoption of frontier technologies such as robotics and artificial intelligence. The ministry in August last year had floated a draft industrial policy with an aim to create jobs for the next two decades, promote foreign technology transfer and attract USD 100 billion foreign direct investment (FDI) annually. Prabhu also said that the ministry is looking at ways to increase exports of auto components. Further, he added that to deal with the hurdles of logistics related issues, the ministry is preparing a plan. India will become USD 5 trillion economy in the coming years, and USD 1 trillion would come from manufacturing, he said, urging the auto industry to participate in this growth.